The Community Kauhale ‘Ōiwi is a peer-to-peer meeting space at IUCN WCC that provides an opportunity for local and indigenous leaders to exchange knowledge and best practices in sustainable environmental management. 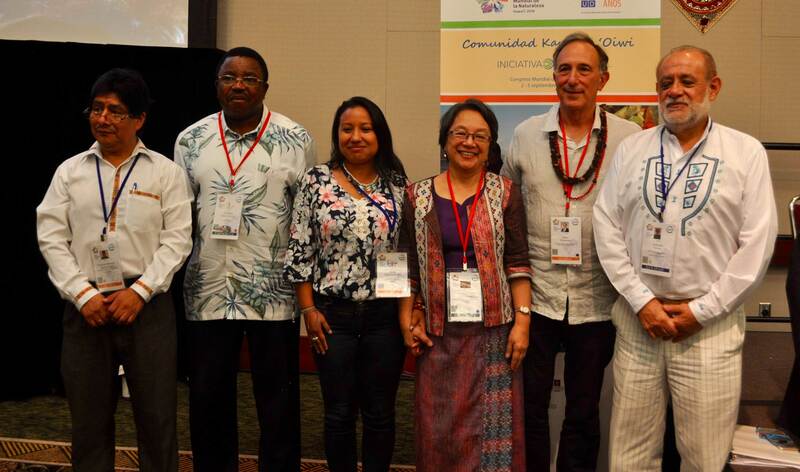 Leveraging the unique partnerships of the Equator Initiative, the Kauhale aims to position local advocacy and knowledge sharing within the larger policy dialogues on conservation and sustainable development. This session on ICCAs and Protected Areas provided an overview of indigenous peoples and community conserved territories and areas. The intention was to exchange best practices and knowledge on the governance of such areas, the threats and challenges of ICCAs and protected areas, and the relationship with mainstream conservation efforts. Terence Hay-Edie, from UNDP-GEF Small Grants Programme facilitated the session. Nik Sekhran, Head of UNDP’s Sustainable Development Cluster opened the panel with a short introduction on the compatibility of conservation and sustainable development by sharing an example of the Tree Kangaroo Conservancy in Papua New Guinea. He stressed we must invest in community conservation efforts and people’s livelihoods, and think more broadly about challenges and solutions to eradicate poverty globally. Eli Enns of the ICCA Consortium/Tribal Parks in Vancouver Canada explained the ways in which Canada incorporated indigenous law into its constitution and national identity, but stressed that challenges remain for ICCAs to gain the acknowledgement of authorities. Enns reiterated the importance of treating with respect what was provided by the creator and maintaining traditional territories safe. Meretui Ratunabuabua, of the Pacific Heritage Hub in Fiji, shared the advocacy work they do with governments to gain special distinctions for indigenous lands, including acquiring the designation for the latter as World Heritage Sites; and explained there is some debate around whether the benefits of becoming World Heritage Sites outweigh the costs incurred by the communities. She cited lack of preparation for increased numbers of tourists as a challenge that arises in most communities following the designations. The panel continued with presentations by Odilón de Jesús López and Heidy Orozco, of the Nayeri Indigenous Council in Mexico. Odilón de Jesús López highlighted the importance of women in preserving their culture and language. He also emphasized the importance of alternative indigenous education through elder-youth engagement in order to preserve the traditions and land. His community is facing threats from the construction of a dam-which the government wants to approve despite the presence of many sacred sites in the area. Heidy Orozco gave an impassioned presentation on the sacred sites and biodiversity in her community’s lands-which would be threatened by the construction of the dam. She emphasized the economic benefits provided by the land to her people, and shared the ways in which the indigenous people are inherently tied to the place from which they originate and where they have lived for thousands of years. Orozco stressed her community is organized and prepared to fight against the construction of the dam. Paul Harrison, from UNDP shared an example of a sustainable, locally managed forest in Tanzania, which has also led to the protection and conservation of wildlife. Since the trafficking of wildlife has real economic benefits, this sustainable forest is an alternative means to economic empowerment alongside conservation and protection. Harrison emphasized that the community itself must be seen as the core of sustainable forestry and wildlife protection. 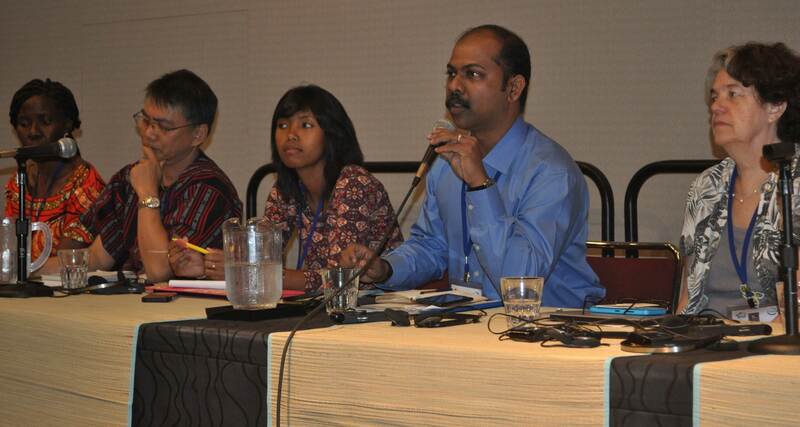 The session concluded with additional questions from the audience and a conversation on the different benefits and challenges indigenous peoples and local communities are facing in securing, retaining and furthering land designation as ICCAs or Protected Areas. 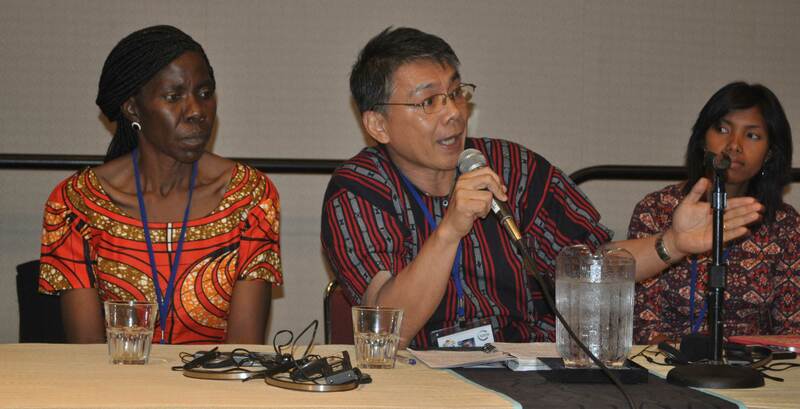 The Community to Community Exchanges: Strengthening Networks was an opportunity to share experiences of existing networks involving indigenous peoples and local communities, and the importance of community-to-community exchange in learning, scaling out work, and network building. Speakers discussed methodologies used to enable community-to-community exchange, how and why the networks were developed, the challenges they faced, and the components needed to ensure growth and relevance in a digital age. 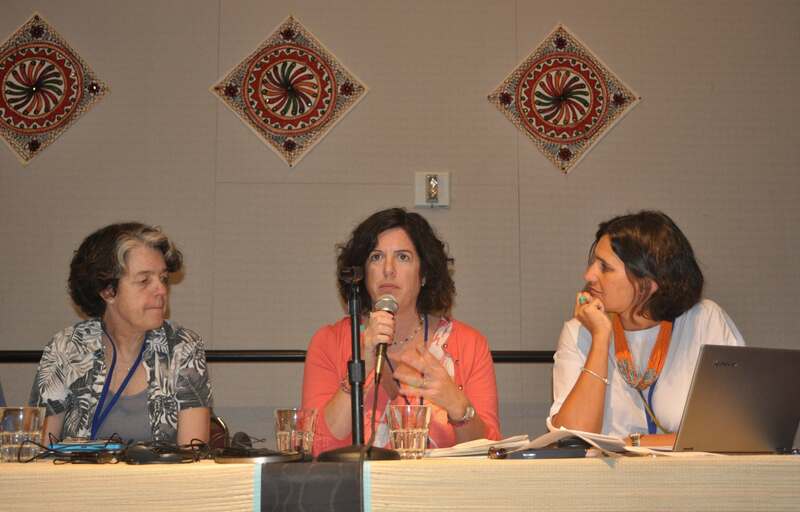 Alejandra Pero, moderator of the panel and Coordinator of the Equator Initiative’s WIN Network, spoke about the richness of traditional knowledge and practice that indigenous peoples and local communities use to address environmental and social challenges. Krystyna Swiderska, from IIED, on behalf of the International Network of Mountain Indigenous Peoples (INMIP) talked about their work to support communities in building their own capacities- among other things -to strengthen food security. They promote active sharing of beliefs and cultural/spiritual values among various communities; identify common themes including bio-cultural heritage territories, and promote biodiversity conversation through culture. Henrietta Kalinda, from Kasisi in Zambia, spoke about her community-to-community exchange experience in Burkina Faso, organized and funded by the Equator Initiative. Of her hands-on experiences, Henrietta said “Seeing is believing: what you see you do not forget” and “there is no point of re-inventing the wheel, best to learn from other communities with the same problems as yours, but with more creative solutions than yours.” She also stressed the value of networking to create opportunities for consensus building amongst likeminded actors, and the importance of community-to-community visits as an effective tool for rapid learning. Eileen de Ravin, from the Equator Initiative, on behalf of Biodiversity and Community Health Initiative (BaCH) spoke about BaCH’s integrated resource assessment methods to bridge communities and science. The initiative is a partnership among different leading agencies and stakeholders working on related dimensions of the biodiversity-health nexus to impact poverty reduction and related issues of sustainability. Their priorities are peer-to-peer learning, community learning exchanges and capacity building. Anoop Pushkaram from Kerala kani Sumdaya Ksherna Trust in Indiaexplained there are 21 states in India and three main groups: Karnataka, Chennai and Kerala, who’ve engaged in regional community-to-community exchanges. He stressed the need for preservation and documentation of tangible and intangible heritage, and a need to move forward with capacity building of local communities in India. Giovanni Reyes, from the ICCA Consortium in the Philippines, stressed the importance of bringing people together with common aspirations, and that sharing could be escalated from the community level to the national and regional levels. He proposed workshops for national exchanges and encouraged the participation of academia to support with technical assistance. He also spoke of 3D mapping, used by indigenous peoples as a resource inventory, to assess the condition of forests for conservation planning. Vatosoa Rakotondrazafy, from MIHARI Network in Madagascar shared the experience of locally managed marine and coastal areas (LMMAs) in Madagascar, created to allow knowledge exchanges amongst communities and to strengthen LMMAs. The Mahari network and activities include 150 associations, 19 marine NGOs, and government and private sector representatives. They bring stakeholders together to find solutions, build capacities, and create local and national communication tools to better preserve marine and coastal areas. All panelists concluded that exchanges at different levels require engagement of policy makers, and all members of the community (women, men and youth, and elders), and must ensure sharing of traditional knowledge to preserve indigenous culture and heritage. They stressed the value of face-to-face exchanges, instead of interaction via social media and the Internet. They also highlighted the importance of personal relationships, community building, and traditional knowledge.atives can be supported, multiplied and scaled up/out. How can networks be strengthened to ensure growth and relevance? What are the next steps? The Special Rapporteur on the Rights of Indigenous Peoples Victoria Tauli-Corpuz shared the findings of her thematic report addressing the impacts of conservation activities on the fulfillment of the rights of indigenous peoples according to international human rights standards. 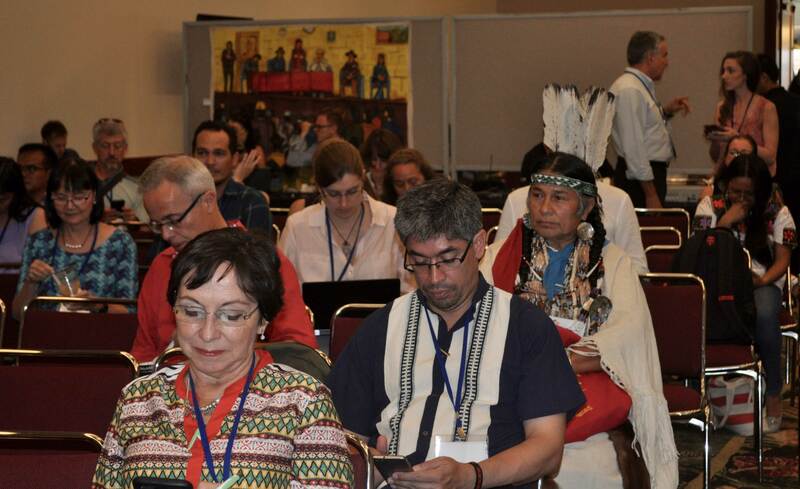 The Special Rapporteur has continuously received complaints on human rights violations of indigenous peoples connected with conservation activities, particularly related with the establishment and management of protected areas that overlap with indigenous peoples’ lands and territories. Violations of indigenous peoples’ rights in connection with conservation activities impact among others: their rights on lands and territories; rights to self-governance; resources, cultural and spiritual rights; rights to full participation; free, prior and informed consent; right to remedy; and the recognition of indigenous peoples’ own systems of management of natural resources. In response to the thematic report, Gonzalo Oviedo, moderator from IUCN noted the interest of the conservation community to get a better understanding of indigenous peoples and their rights. He emphasized the great importance of the report and the presence and contribution of indigenous representatives at the Congress. He noted that the situations described by the Special Rapporteur are taking place within very complex contexts, and encouraged all WCC attendees to use the forum to discuss next steps to put human rights-based conservation into practice. 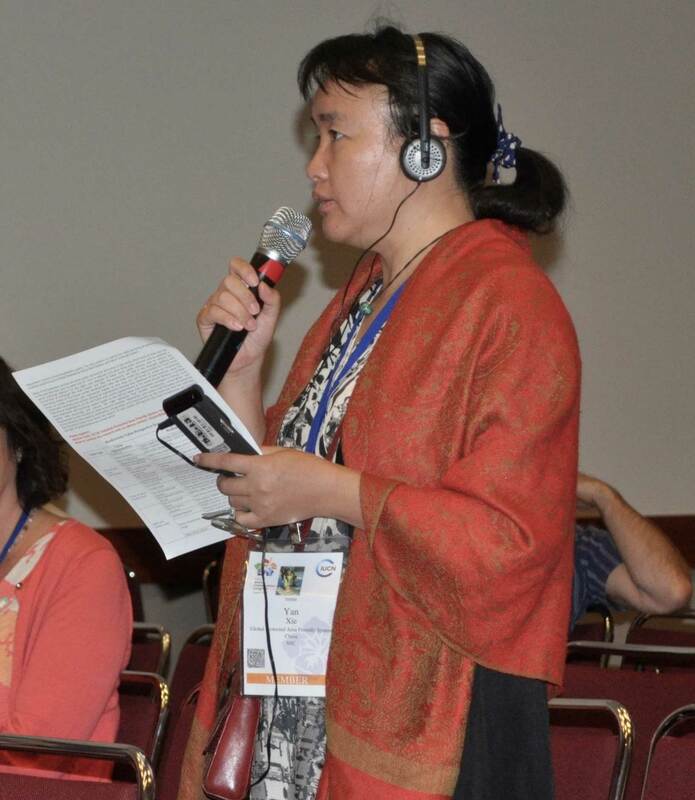 Aura Benilda Tegria Cristancho, from U’wa Association of Traditional Authorities and Councils in Colombia, pointed out how the U’wa have conserved their territories over millennia through their strong cultural and spiritual relationship to their lands, long before the creation of protected areas. She explained how they are currently struggling with ecotourism activities, taking place in their sacred sites and breaking their spiritual relation to their land. She called on the States to recognize and respect indigenous peoples’ rights, and understand that indigenous peoples around the world are, through their cultural practices, contributing to the protection of life and the existence of humanity. Ramiro Batzin, Director of Sotzil from Guatemala, further underlined the high importance of the report as providing a key instrument vis. a vis. territorial and collective rights, natural resources, protected areas, traditional knowledge, spiritual rights and extractive activities. He emphasized that the conservation paradigm still needed to be rethought, and a more holistic vision of conservation implemented. He emphasized the need for greater dialogue and understanding between indigenous peoples, governments and conservation organizations. 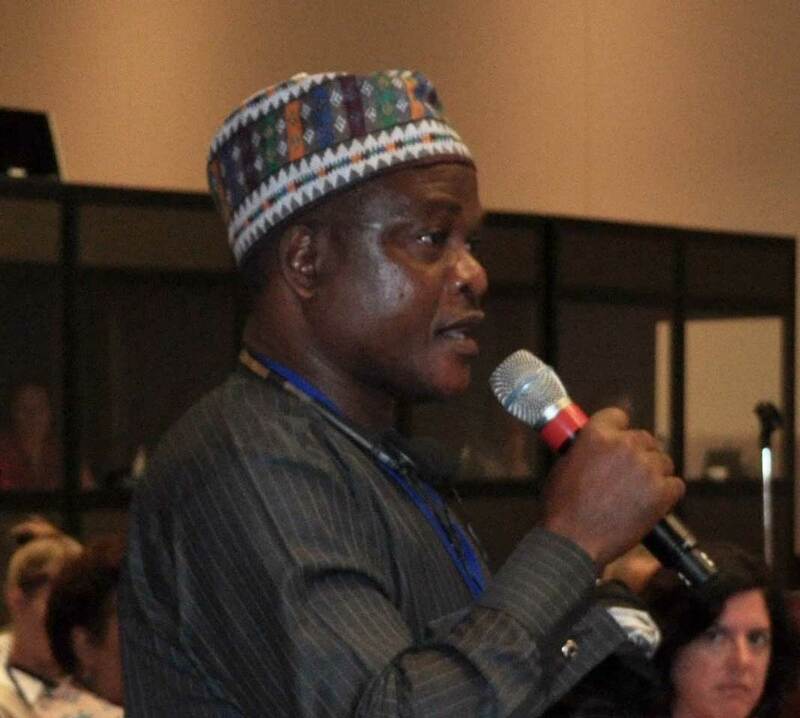 Cosma Wilungula Balongelwa, from the Congolese Institute for Conservation of Nature laid out that indigenous peoples in the DRC faced multiple difficulties and lacked representation and land rights. He stressed that capacity building is needed to help indigenous peoples in his country become more competitive, improve their livelihoods, strengthen their self-determination, join policy discussions and be respected. Peter A. Seligmann, Chairman and Chief Executive Officer of Conservation International, lauded the Special Rapporteur’s report, as a great opportunity and an obligation to support indigenous peoples as they are often closely connected to the Earth, whereas most of society has lost this connection. He stated that CI would take the aspirations and guidance of the report to heart, and that training for indigenous leaders, long-term funding, and to support indigenous peoples in the delivery of the Paris agreement were key to making this happen. Mr. Oviedo concluded by noting that while the conservation community has been moving forward towards a new paradigm of conservation with a human rights approach, a huge implementation gap remains. The new approach to human rights based conservation has to be translated from paper to practice on the ground, and full recognition of indigenous land rights and participation are key enabling conditions for conservation to be sustained. Asociación para la Investigación y Desarrollo Integral (AIDER), Peru – Serving forest-based communities across Peru, AIDER uses its vast partnership to support and strengthen community-based forest management as a pathway to local livelihoods, biodiversity conservation and land tenure security. Ekuri Initiative, Nigeria – Established in the 1980s in response to a proposed logging concession that would have deforested their traditional lands, the Ekuri Initiative manages a 33,600-hectare community forest as a collective asset, generating income and food security for the local population. Serraniagua Corporation, Colombia – A dynamic multi-stakeholder alliance, Serraniagua Corporation works to protect critical biodiversity in the Chocó-Manabí Conservation Corridor through a network of over 60 community-managed forests, protected areas and reserves. Trowel Development Foundation, Philippines – This community-based organization uses mangrove restoration and aquaculture to improve local livelihoods, food security and climate resilience. The organization credits mangrove reforestation with protecting their coastal communities against the worst impacts of Typhoon Haiyan. The roundtable discussion will be followed by a Q&A session and a catered reception. To introduce and provide context to the latest Equator Initiative publication, including the Equator Prize, COP 21, and the new international frameworks adopted in 2015. To discuss the value of community-based forest management initiatives to climate change solutions, and the four thematic areas around which those are framed in the book—sustainable forest livelihoods, forest-friendly agriculture, forest restoration, and forest protection. To learn from local and indigenous communities themselves about their experiences in developing grassroots initiatives, achievements and ongoing challenges. To demonstrate how critical indigenous peoples and community-managed forests are to the achievement of global climate and sustainable development goals. Ways forward: discuss lessons learned and how these community-based initiatives can be supported for the benefits they provide both local communities and the global community at-large. Facilitate dialogue among conservation practitioners to expand networking and alliance-building opportunities among participants.